Round, Rectangular, Square or Surfboard shaped? 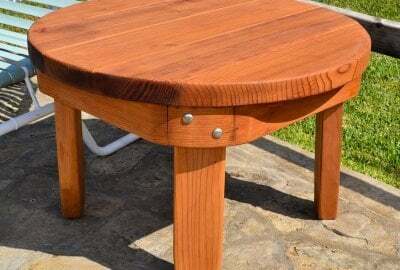 Our Redwood Side Tables, and Solid Wood Coffee Tables are the perfect compliment to your outdoor wooden patio furniture or yard setup. 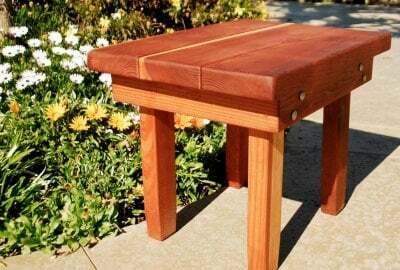 These unique side tables are as sturdy as any large dinner or picnic table, built with size and function in mind for any need. 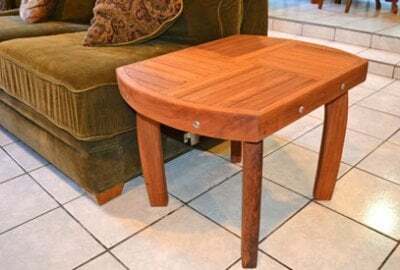 We have a variety of styles, sizes, and wood to choose from, and each is customizable and built just for you! 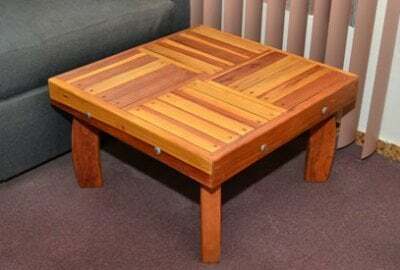 Our Rectangular Side Table makes an excellent coffee table. 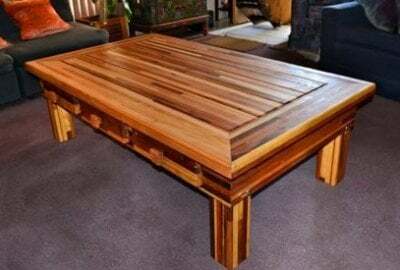 The thick-timber design is so sturdy, certain customers have admitted to dancing on it! Enjoy the beauty of real wood with the alternating, nature-endowed colors of the stunning Round Ashley's Side Table. 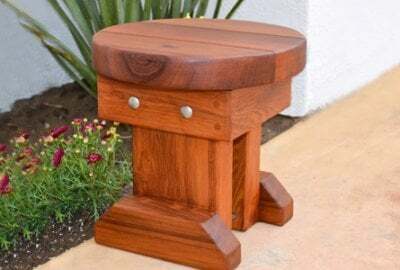 Our Mini Round Side Table fits the bill for small spaces and limited budgets. 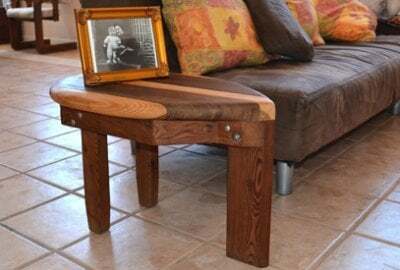 You can't go wrong with a classic Square Side Table. 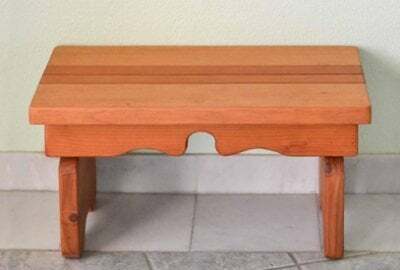 It is hand-built in just about any size you need. 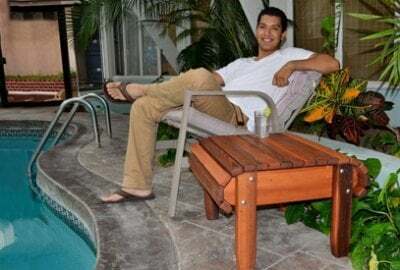 Brian's Side Tables were designed to match our Reclining Loveseat and Easychair. Whether you want a unified look or prefer mix-and-match style, you can't go wrong with 100% California Redwood in our thick-timber designs. 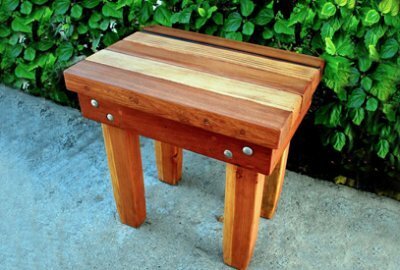 Our Vera's Side Table is a beautiful addition to your porch, balcony or deck. 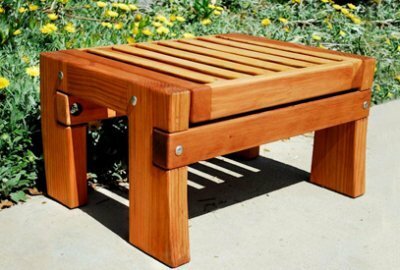 Show off the beauty of 100% solid wood furniture with alternating, nature-endowed colors. 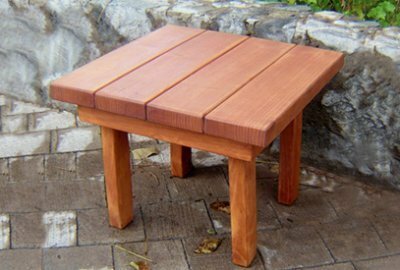 Available in both Round and Square designs in a variety of contrasting All-American wood grades. 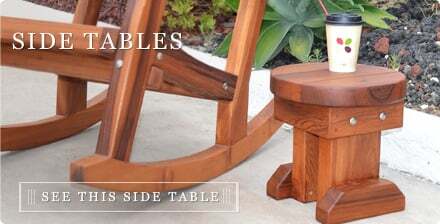 Our Terrace Side Table is at home on the porch, outside or in the bedroom.